Jane Alexander, 26, says she’s one of the first employees to arrive and last to leave WinterWyman. As soon as he awakes, Brian Porrell checks his e-mail, sometimes firing off a message before he gets out of bed. He makes calls during his commute to the Waltham staffing firm WinterWyman, spends 10 to 12 hours at the office and out visiting clients, and keeps his phone by his side at night, checking work e-mails while he watches sports on TV. Like many workers today, Porrell, 30, is on the job wherever he is — and he doesn’t count out-of-office exchanges in his 50-plus hour week. The millennial generation, the first to grow up with smartphones in their hands, is often stereotyped as lazy and entitled. 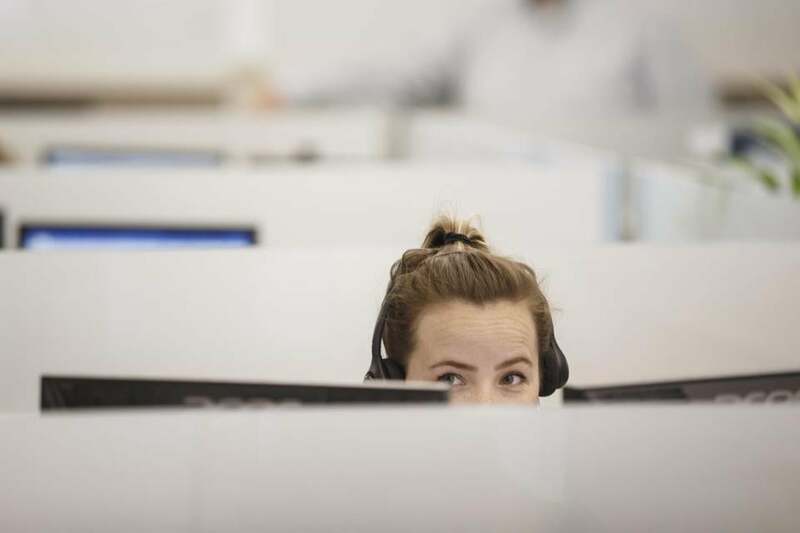 But workplace experts say workaholics are common among 19-to-35-year-olds, perhaps more so than among older members of Generation X and baby boomers. In one online study, more than 4 in 10 millennials consider themselves “work martyrs” — dedicated, indispensable, and racked with guilt if they take time off. What’s more, nearly half of millennials want to be seen that way, according to the survey of 5,600 workers by Project: Time Off, a Washington, D.C., coalition that promotes vacation time. 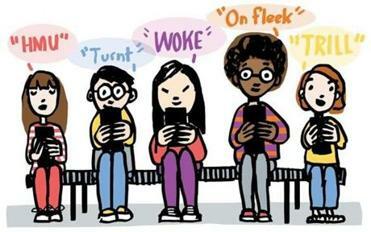 Millennial slang is hype. It’s also pretty fire. Actually, scratch that. It’s straight fire. So why are millennials bent on being workaholics? Even though the economy has improved markedly in recent years, young people in the workforce today have record levels of student loan debt. They are also less likely than previous generations to earn more than their parents, according to a Stanford University report. The percentage of children who are better off than their parents has dropped dramatically — 50 percent of those born in the 1980s have a higher standard of living than their parents, compared with 90 percent of those born in the 1940s. The way millennials were raised may play into their always-on mindset, too, said Bob Kelleher, a Boston-based employee engagement consultant and author. Many of them were highly scheduled, he said, going to soccer camps, enrolling in SAT prep courses, and competing on the debate team in order to get into a good college. And some have delayed several of the responsibilities of adulthood, he noted, living with their parents and putting off marriage and kids. That frees them up to work even more. “This is a driven generation,” he said. Jane Alexander, 26, a staffing manager at WinterWyman, said she is often one of the first to arrive and the last to leave the office but acknowledged she will probably work less when she has kids. “That is part of why I want to crank it now while I do have time,” she said. Brian Porrell and Jane Alexander talked at WinterWyman. The ability to work anytime, anywhere, helps propel this blending of work and life, in part because answering a work text at a coffee shop doesn’t feel as much like work as sitting in a cubicle. Indeed, nearly one in five people said they don’t consider after-hours texts from clients or customers to be work, according to Workforce Institute at Kronos Inc., a think tank set up by the Chelmsford human resources software provider. Molson finds herself answering e-mails and jumping on conference calls even when she’s on vacation, once distracting other participants with the sound of seagulls in the background while she was in Florida with her family. But going on a real vacation is a rarity for Molson, who tends to take long weekends because she’s afraid of missing something at work — and also because she loves what she does. Like many millennials, Molson came of age when the economy was reeling, and the uncertain job market had a profound effect on her. “I’m very anxious to rack up as much experience as possible,” she said. Millennials are also more likely to forfeit paid days off than older generations of workers, with a quarter of 18-to-25-year-olds reporting they weren’t using any of their paid vacation days this year, according to the personal finance website Bankrate.com. The rise of companies offering unlimited vacation time may contribute to that, workplace consultants say, noting that when there is no set bank of “use it or lose it” vacation time, people are less likely to take days off than they otherwise would be. But not being able to truly get away from work can have serious downsides. Employees who don’t disconnect experience more stress and anxiety, which leads to reduced productivity and a higher rate of burnout, said Dan Schawbel, research director at Future Workplace, an executive dev-elopment firm in New York. Seeing co-workers hunched over their desks late at night can cause others to feel they should be doing the same and increase guilt, or resentment, among employees who strive to keep their work and home lives separate. It can also lead people working around the clock to hold it against their employer — “even if it’s your own fault,” Schawbel noted. Indeed, people who see being a “work martyr” as a good thing are more likely to be unhappy with their jobs, and less likely to receive bonuses, according to the Project: Time Off study. That can lead to retention problems, particularly among millennials, who aren’t afraid to quit. Two out of three young workers expect to leave their current job by 2020, according to a recent study by Deloitte. For his part, Porrell, the Waltham staffing firm employee, doesn’t consider himself to be a martyr but admits to working around the clock, and happily so, even though he knows his social life suffers because of it. “I actually try to downplay the number of hours I work,” he said.